By now you’re probably already familiar with some or all of these stories. Singer Kelly Clarkson being “fat-shamed” by a British woman on twitter. The Canadian meteorologist receiving derogatory viewer letters about her maternity fashion choices. And actress Rebel Wilson talking about her body image and size as if it’s still the most notable thing about her, not her talent. It kinda gets us depressed that we still live in a body-shaming culture that seeps into our everyday lives, sometimes leaving us aware of our own bias which stems from years of brainwashing from the multi-billion dollar advertising, diet and fashion industries which have taught us to think a certain way about women’s bodies. Add to this the awful magazine headlines and columns such as “who had a better bikini body this summer” and “who wore it best”, and we get a very powerful medium (entertainment and the media) which fuels this unhealthy obsession even further. Thankfully we live in the digital information age which gives everyone a democratic chance of speaking up with the possibility of a message going viral thanks to social media and the internet. We have never been more in need of a breakthrough with messaging than with the way women’s bodies are dissected and talked about in public. The thing is, positive media headlines don’t get as many clicks as the “OMG guess which celeb went out without wearing underwear!” ones. We are one of a number of sites looking to change that by amplifying the positive messages that women need and want to hear. A British woman (who shall remain nameless and without much description so that we also don’t feed into the negativity) tweeted about Kelly Clarkson not too long ago criticizing her weight. She claimed that Kelly could no longer claim “baby weight: given that she gave birth to her daughter River a year ago, and also went as far as to make a joke, saying “looks like Kelly ate her backup singers”. As if we don’t already live in a world where there is undue pressure on moms for literally every choice they make (to breastfeed or not? Home school or public school? etc) we have now been taught to shame mothers for not losing weight in OUR desirable amount of time because hey, all those Victoria’s Secret models who have babies snapped back to their runway-ready bodies in less than two weeks. It’s the type of response we all want to say but sometimes don’t have as big of a platform to say. Also, there are other female celebs, such as singer turned billionaire clothing mogul Jessica Simpson, who have said the same thing, yet after the media hubbub has died down we forget the positivity and go back to the general body-hating culture that drives the majority of our media. Then we have to wait months for another woman to speak up and remember that we don’t need to live in a bubble of body hate. But it’s not just the bigger women that bare the brunt of it, there are plenty of women who are shamed for being too skinny and perhaps not looking “pregnant” enough because of their genetics. We certainly have come to a sad point in our humanity when we tell women “you’re damned if you do and you’re damned if you don’t”. When will it stop? In Canada, CBC meteorologist Kristi Gordon, who is pregnant with her second child, received some rather harsh letters from anonymous (of course!) viewers who thought it was their duty to berate her for her appearance. Kristi made the bold move, like other TV anchors who have spoken on-air about negative body criticism they’ve received, to address the viewer’s concern in a way that showed maturity. Ignore the part where the male anchor thought it was a rapper who said “Hater’s gonna hate” (it was actually Taylor Swift), the important part is that people in society feel they can voice their opinion publicly about a woman’s clothing choices and actually have a negative affect on her. It’s awful, and it’s downright shameful. There’s no two ways about it! Even though we are a website dedicated to positive and empowering news, we have to talk about this because amplifying the voices of the women who stand against bullying and body-shaming is important. Anonymous bullies who are so insecure they feel the need to spend their life energy making someone else’s hell, need to be taken down in the best way possible: by being laughed off and ignored. Light, love and happiness. It’s a bully’s worst nightmare! 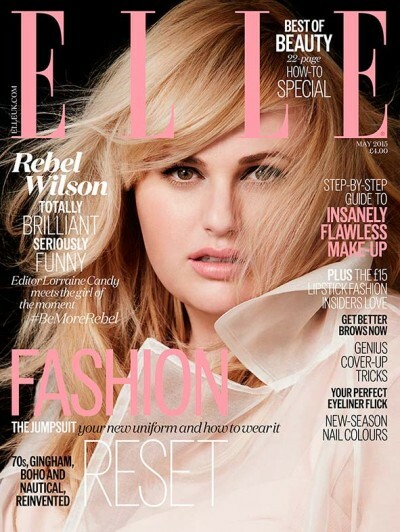 In a recent interview with Elle magazine UK where she also graces the cover, Aussie actress and comedian best known for her roles in ‘Pitch Perfect’ and ‘Bridesmaids’ Rebel Wilson talks a little about how she, albeit being a huge success, is still categorized into certain roles in Hollywood because of her appearance. “How I see it is, I do two types of job: dream jobs like female-driven comedies and the other job, which is basically the boys’ club. Those male roles are 90% written and formed by the time the filming starts but the female roles are only 20% there. It’s unfair, but I love being funny so I improve the role, work with the limited parameters and opportunities and maximize them,” she says. But it’s not just about pushing for greater roles, it’s about how she is perceived by audiences because of how narrow Hollywood’s representation of women is. 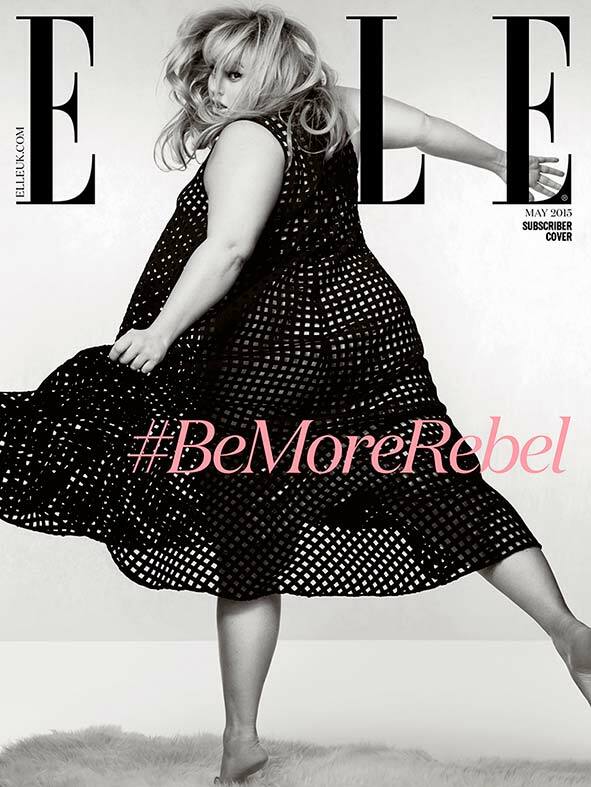 She has never been too affected (well at least publicly) by her size because it means there is less competition for the types of roles she is up for. But the important message here is: why AREN’T there more women her age and size in Hollywood? And does this lack of increased representation lead to the types of attitudes that lead to shaming in the case of the Canadian meteorologist and Kelly Clarkson? The short answer is yes. Is there a solution? Of course there is, but it is not an overnight fix. Whenever you talk about changing the cultural practices and attitudes of a group of people or even a section of the world, it is about chipping away at the negativity boulder bit by bit until our subconscious is trained to think differently. When we hear attitudes like “but that’s just not what sells in fashion” or “no one wants to see that” we know we have a much bigger fight on our hands. Because saying things like that means A) the brainwashing has been very successful, and B) there are too many people out there who don’t care to try and change the status quo. We don’t necessarily need complicated answers or solutions, sometimes it can be as simple as speaking positivity in the midst of a negative situation. The body-shaming is so rife and rampant that we need to keep sharing the types of messages that will empower other women to know they don’t need to believe the narrow-minded lies that are being sold successfully to the world everyday. Let’s become part of a culture of body-embracing, and placing more emphasis on who a woman is, rather than what she looks like. Let’s be like Rebel and rebel against the norms that teach us to be confined to a certain category. And we pledge to continue sharing the positive messages on our site because they are very much needed.